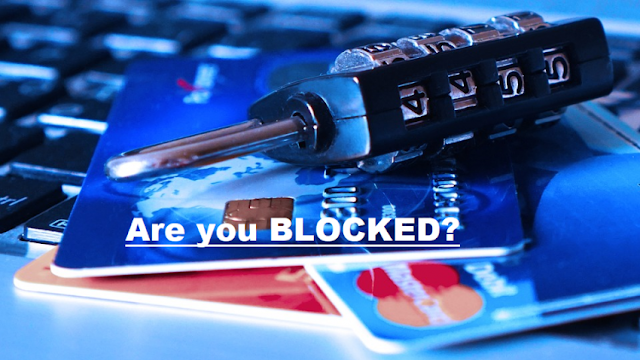 Let’s understand, various situation to why your credit card was blocked and what can be done in such scenarios. However, not many are aware that their credit cards can be blocked on over utilization. For instance, you continue to swipe and exhaust the limit of the credit card, then it will be blocked. Thereby you should always keep a check of your credit card limit and balance. For instance at SBI: To know your available limit, SMS AVAIL XXXX (XXXX=last 4 digit of your SBI Credit Card) and send it to 5676791. To know your total outstanding, SMS BAL XXXX (XXXX=last 4 digit of your SBI Credit Card) and send it to 5676791. One has to make an immediate payment! Banks allow you to make payment of total outstanding balance or total amount due or minimum amount due for unblocking your credit card. For example, if you credit card limit is Rs 25,000 and you have made a transaction of Rs 19,000 on January 1, and you missed the deadline for first installment. Then you can either pay entire Rs 19,000 dues along with interest depending upon banks or just pay minimum amount due which will vary from Rs 1,000 to Rs 3,000. The moment you follow this procedure, you are free to access your credit card once again and continue repaying your debts. 3. Payment default on 3 transactions. First payment default is still not much burdensome, if you continue to default on three payments. Then, your debt will continue to rise due to interest levied by banks. Meantime, your credit card will be blocked until any payment is achieved. This will also hamper your credit history. Such would drag down your credit score and even your chances for availing any kind of loans like personal, home or vehicle in future. The procedure to come out of this trap is also same like the first defaulting case. Either make immediate payment of outstanding balance or minimum amount dues or total amount dues. 4. Between 4-6 payment default! Despite repeated reminders, if you still continue to not pay your credit card dues, then your card will be permanently withdrawn from banks. In short, they will be made invalid. This will take a long process, as banks will review your request and consider your past history. Chances for re-activating your credit card will be limited in scenario. This scenario takes place, when you have defaulted for six-consecutive payments. Most bank allows you to re-apply for a new credit card. In case of SBI, the bank says to apply afresh for their Unati card only after due diligence. By having a term deposit account with SBI, will also mean that it will be kept under Card’s lien during the tenure of credit card. In case of written-off, after paying the entire dues you can request for clean-up of your CIBIL status which increases the possibility for future credits. The process generally takes 45-60 days. Many banks follow a very stringent method to ensure that your credit card remains safe and secured. Hence, if there is any suspicious transactions, the banks have the power to proactively block your card in order to protect you from further misuse. These suspicious activity can be anything, for instance your card is lost or someone has hacked your internet banking or misused your phone number. Also, if you have received a transaction alert which you have not carried, then it is advisable by the bank to block your card immediately. If you have received any message for unauthorised transactions, then you can block your card by calling the helpline number of your bank. For instance at SBI, block your card SMS BLOCK XXXX (XXXX=last 4 digit of your SBI Credit Card) and send it to 5676791 or call our helpline 18601801290/39020202 (prefix local STD code). If the bank blocks your card, then you will have to call helpline number to re-activate the card with new password or else apply for a new card. 7. Non-receipt of KYC documents! Government and RBI are very serious about having adhere KYC norms for securing your datas and ensure transparency in your financial transactions. As per RBI, it is required for all credit card customers to comply with ’Know Your Customer (KYC)’ norms and provide requisite information and documentation periodically. In case you fail to do so, your card may be temporarily deactivated for usage. For activating your credit card, you must first submit all the required documents to your bank. These documents are - Aadhaar card, passport, voter’s card, driving license, PAN Card and also some banks take in form 60, passport size photographs. You must submit a duly signed KYC renewal declaration form. 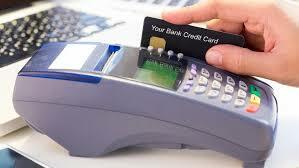 There can be situation where you just do not want to continue using your credit card. This arises especially in the case, where repayment of dues become a major concern. Hence, the card holder puts a request for deactivating the credit card. You can re-activate your credit card as per your bank’s terms and condition once again, after voluntarily block. Some banks allow you to log a request, however, it must be done in a specified time. For instance, SBI allows to re-activate credit card only within 3 months of blocking. Hence, if you are credit card holder and are facing blocking issues, then remember the above mentioned pointers for your financial needs. 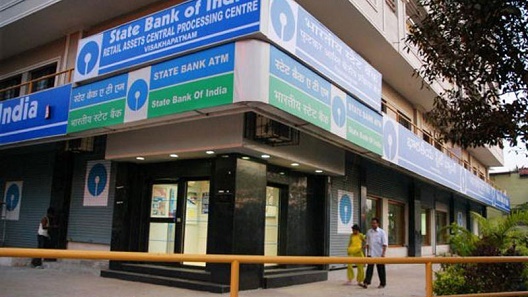 How to Generate SBI ATM Pin Through SMS/Netbanking/ATM Online – State Bank of India, headquarter of which is located in Mumbai, Maharashtra is the largest banking & financial service company in the nation, which is short is well known as SBI. And, today on MsnTarGet.CoM / Soas.in / Fun2ind.CoM we’ll be given tips, tricks and step by step guide on How to Generate SBI ATM Pin Through SMS/Netbanking/ATM Online for over 10.52 million total registered user base of State Bank of India. Keeping the details available on the official website of State Bank of India in mind, there are major two methods to Generate the ATM PIN. First is to Login to your SBI Card online account and the Second one is to Call SBI Card helpline number 1860 180 1290. First of all, you will have to Login to your State Bank of India card online account at the official website of the same that is www.sbicard.com. rom the drop down menu, select the credit card, you want to generate the PIN for. Next, within a minute or so, One Time Password or OTP will be sent to you by SMS (Short Message Service) on the registered mobile number. Next part is to enter the One Time Password as available in the SMS either it must be 6 digit alpha numeric code or 4 digit numeric code. Further, you may enter your ATM PIN that you’re willing to set. Moreover, you can click on the Submit button and your PIN will be generated. For a person, who doesn’t feel comfortable with the online PIN generation methods given above, may surely check out the next easy steps regarding How to Generate SBI ATM Pin Through SMS/Netbanking/ATM Online. First of all, open dialer in your phone and Call 39 02 02 02 (prefix local STD code) or 1860 180 1290. As soon as you’re told the options to choose from, make sure to go with the sixth option. Next, the computerized voice will ask you for personal information. Make sure while entering the details no one is observing you directly or indirectly (by CCTV etc.). Now, Key in your card details and date of birth. Again the step of the OTP will be repeated i.e. Next, within a minute or so, One Time Password or OTP will be sent to you by SMS (Short Message Service) on the registered mobile number. Next part is to enter the One Time Password as available in the SMS either it must be 6 digit alpha numeric code or 4 digit numeric code. Further, after authenticating with One Time Password (OTP) sent on your registered email ID or mobile number, make sure to set your SBI Card PIN. When standing in front of ATM Machine, it is also quite easy to reset, set new or generate old or new or change the ATM PIN for State Bank of India Credit Card or Debit Card. All you need to do is to go through the options available in the ATM screen. Concluding this in-depth guide on State Bank of India PIN generating with the hope that all your related queries such as – How can I generate SBI ATM PIN by SMS? SBI ATM PIN Forgot? SBI PIN Generation Online, How to activate SBI Debit Card, SBI ATM PIN Not Received, How to Generate SBI ATM PIN at ATM, How to activate SBI Debit Card by SMS, How to change SBI ATM PIN through net banking etc. are now cleared. State Bank of India, the largest financial institution in the nation also remains in the headlines for the topics such as Minimum Balance Rules of Top Banks Explained here, Recurring Deposit Interest Rates: Here’s what top lenders pay, ATM charges levied by top banks for transactions and other services AND SBI Customers? Your bank offers 6.80% interest on deposits in this account, all you need is Rs 100; senior citizens benefit most AND SBI ATM rules: Unlimited withdrawals, transaction limits, charges and other details in 10 points. If you are having any question regarding How to Generate SBI ATM Pin Through SMS/Netbanking/ATM Online, please make sure to let us know below using the comment box. Also, don’t forget to go through other interesting reads of State Bank of India, One day limit, Maximum cash withdraw limit, ATM Password/ PIN Change online etc. Use your debit/credit card to shop online? If not to shop then for net banking or paying utility bills? While doing financial transactions online has made our lives much easier, at the same time it has also made us vulnerable to financial frauds. Every other day, there's news of someone losing thousands of rupees in online fraud. Recently, a man lost over Rs 1 lakh after his Gmail was hacked. But following some basic rules while doing online transactions can save you from such frauds. Here are 10 things that you should never do while shopping or doing any kind of online financial transaction. Never save banking details or card information on Gmail or Google Drive. Recently a Delhi resident lost Rs 1 lakh after his Google account got hacked. As the Google account was synced with his mobile number and credit card, hackers made three transactions with using these details. Do online transactions only from personal computers/laptops. Never use a public or shared PC/laptop to do online transactions. It's always easier to have auto-filling of forms data setting enabled. It saves time while doing several online tasks. But, never enable it for online transaction-related data and forms. As this means you are saving your financial data. Almost all banks now offer the facility to use virtual keyboards while entering passwords. So, it's advisable to use virtual keyboards rather than physical keyboards to protect yourself from keyloggers. This is basic. Always look for the 'https' in the URL before making any financial transaction. Reserve Bank of India (RBI) has made 2-factor authentication (2FA) mandatory for domestic credit card transactions, however, the same is not required for international transactions. In case of domestic transactions at point-of-sale (PoS), the PIN works as the 2FA while for online transactions, the OTP is the second security layer. However, in case of international transactions, the second-factor authentication is not required. Also, note that if you have an international credit card, international usage is enabled by default. So, to be on the safer side, you can disable the international transactions entirely if you have no plans to travel abroad. Yes you can erase the CVV number at the back of your card. Of course, you will have to memorise it before doing this. This will ensure that your card cannot be used to make unauthorised financial transactions in case it falls in wrong hands. These days fraudsters often try to trap innocent card owners by making them reveal their card details online. Never ever reveal any card-related information to anyone online, how genuine he/she may appear on phone/email. Another big 'No' is clicking on links in emails or SMS to access your bank or any other online destination. Always, open the browser and type in the website address/URL yourself. Every few days, there are alerts about fake banking apps. Last month, security firm Sophos Labs warned against fake apps of SBI, ICICI, Axis Bank, Citi and other leading banks are available on Google Play. These apps are said to have stolen data of thousands of bank customers. Withdraw Cash From ATM Without Debit Cards – This Is The Newest Banking Trend! So, what is the normal course of action when you want to withdraw cash from an ATM? You take your debit card, enter the ATM booth, insert the card, insert PIN and take the cash out. What is the very foundation of this whole process: Debit cards is removed from the scene? Very soon, debit cards will not be required to withdraw cash from ATMs. Cash withdrawal will be completely card-less, and this not fiction anymore. Banks will be soon employing a QR Code based cash withdrawal mechanism, wherein the use of ATMs will become obsolete. This new process will be based on QR codes, generated by your banking app. While generating the QR Code, the banking app will also prompt you to select the denominations of currency which you need. The ATM Teller machine will read that, and give you the exact denominations you need. Soon, other services such as demand draft, checkbook and more can be done, simply by using the QR Codes generated by the banking app. This may take some time, as the ATM Teller machines will be required to equip with this new scanning mechanism. Once it is done, then the usage of debit cards will become obsolete, and all you need is your mobile and Internet to withdraw cash from ATMs. The usage of QR Codes to withdraw cash from ATMs is the newest trend, but not the first. Since last few months, QR codes are being increasingly used for various purposes, and India Post Payments Bank is one of the first banks to use it extensively. Account holders of India Post Payments Bank can now just scan, and get the cash, and they are not even required to hunt down an ATM. They can visit the post office or ask the postman or Grameen Dak Sevak (GDS) to come down to their home. They will have a hand-held device which will scan the QR code, and the amount will be paid by them to the customer. Since the QR Codes can be also scanned via smartphone, the process is more convenient, and cheaper as well, compared to the cost of generating a new debit card. These functionalities and innovations using QR Codes are part of the Bharat QR platform, which was launched last year. Final Deadline! Every Mobile No. Should Be Linked With Aadhaar By 26 Feb 2018! The decks are cleared, and the path is determined. Govt. is refusing to retreat on their firm resolve to make Aadhaar the de-facto identity of every Indian. In a latest affidavit filed by the Centre, it has been said that every mobile needs to be linked with Aadhaar by February 26th, and every bank with Aadhaar by March 31st. And, when it comes to hacking of Aadhaar data, then Govt. has plainly stated that no such incident has ever happened. So, the Aadhaar push is real, and mandatory. There is no way out now. Mobile No.-Aadhaar Linkage By February 26th: Govt. In the ongoing case in Supreme Court regarding Aadhaar and its mandatory linkage with services, Govt. of India has filed an affidavit, which states that they cannot go back now. February 26th is the deadline for every mobile phone user to link their Aadhaar. The 113- page affidavit was filed by advocate Zoheb Hossain, on behalf of Govt. of India. On October 31st, in the same case, Supreme Court had questioned Centre’s relentless push towards Aadhaar linkage, and had asked them why it was needed in the first place. In an indirect reference to this question, Govt. has informed Supreme Court that they are acting on the instruction of the Apex Court itself, and going back on this may not be possible now. Centre is referring to the Lokniti Foundation case, during which arguments were put forth regarding illegal usage of mobile phones, and how Aadhaar can check these activities. The hearing took place in February this year, and Centre has sought 1-year deadline for implementing the mandatory Aadhaar-Mobile linking, which Supreme Court had approved. Hence, as per the Centre, going back on this action would be going against the Supreme Court itself. Meanwhile, in the affidavit, Govt. has informed Supreme Court that the deadline for linking bank accounts with Aadhaar has been extended till March 31st. Earlier, the deadline was December 31st. Reacting to reports that some Indian citizens have died of starvation, as they didn’t get the approved ration in the absence of Aadhaar, Govt. said no starvation death has been reported as of now. Besides, Govt. has also denied any incident of Aadhaar data breach or compromising security of the UIDAI server, ever. Besides, the affidavit says that hacking incidents do happen, with or without Aadhaar. We have already reported that 75% of active SIM cards in India can be deactivated, if Aadhaar is not linked. Every telco in India is right now ‘ordering’ and ‘requesting’ their users to connect their Aadhaar with their mobile, as soon as possible. Have you linked your Aadhaar with mobile? Do let us know by commenting right here. Cashless Push – ID Must For All Cash Transactions Above Rs 50,000! In a major push for a cashless economy, and for controlling money laundering and tax-evasion, Govt. of India has now made ID proof mandatory for all cash transactions above Rs 50,000. Will this step control black money generation in India? ID Proof Must For Cash Transactions > Rs 50,000! Finance Ministry has now made sweeping changes to Prevention of Money-laundering (Maintenance of Records) Rules, and the biggest of them all is: Mandatory ID proof requirement for all cash transactions above Rs 50,000. As part of this initiatives, all reporting authorities such as banks will be required to keep Prevention of Money Laundering Act (PMLA) forms, wherein the customer will be required to furnish ID proof when transacting more than Rs 50,000 in cash. The ID proof can be Aadhaar or any other form of Govt. issued identification cards such as PAN Card, Voter ID Card, Passport, etc. The reporting authorities must cross-check the ID with the records available as KYC before approving cash transactions of more than Rs 50,000.
Who Can Ask For ID Proof? Besides banks, there are several other entities dealing in financial products, which have been mandated to ask for ID proof in case of cash transactions above Rs 50,000. Intermediaries like stock brokers, chit fund companies, cooperative banks, housing finance institutions and non-banking finance companies, besides banks have been made as reporting authorities for mandatory ID checks. In case these entities don’t have any KYC of the customer, then they are now required to obtain the same, and cross-check the IDs before processing cash transactions above Rs 50,000. Under Prevention of Money-laundering (Maintenance of Records) Rules, strict rules have been formulated for those who are violating these rules. Hence, from now on, dealing with cash transactions becomes even more tough. What ID Proofs Would Be Applicable? Every cross-border transfers of more than Rs 5 lakh in foreign currency, besides purchase and sale of immovable properties worth Rs 50 lakh have also been placed under this new rule. In case the furnished ID doesn’t have updated address, then utility bills such as electricity, telephone, post-paid mobile phone, piped gas or water bill can also be used as ID proof. Property or municipal tax receipt, pension or family pension payment orders issued to retired employees by Government departments, or letter of allotment of accommodation from employer can also be used as ID proof in some cases. Govt.’s fight against cash transactions have no intensified, with this new rule for mandatory ID for cash transactions above Rs 50,000. Earlier, Govt. had introduced Rs 150 transaction fee for every 4th cash transaction, irrespective of the amount. As per Income Tax rules, cash transactions above Rs 2 lakh are anyways illegal; and public at large are requested to report any such transaction at ‘blackmoneyinfo@incometax.gov.in’. Besides, PAN Card is right now mandatory for any transaction above Rs 2 lakh. And last year, it was rumored that all cash transactions above Rs 3 lakh would be banned. We will keep you updated as we receive more news regarding battle against back money. The reduced charges will be applicable on the transactions done through internet banking (INB) and mobile banking (MB) services offered by the bank, bank sources said. 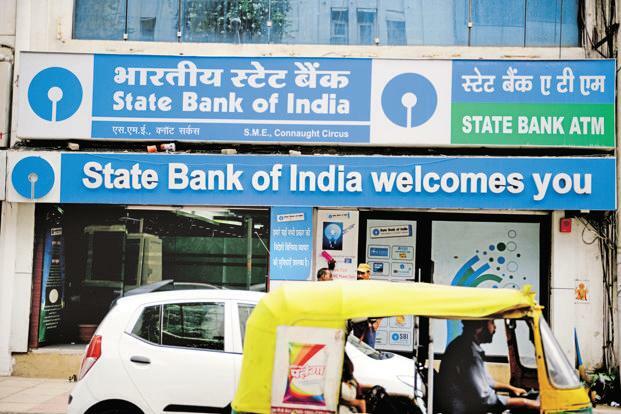 New Delhi : In a push to digital payments, state-owned lender SBI will cut charges on electronic transfer of funds through NEFT and RTGS by up to 75 per cent from Saturday, benefiting nearly 5.27 crore customers, a release said on Thursday. “The reduced charges will be applicable on the transactions done through internet banking (INB) and mobile banking (MB) services offered by the bank,” it said while releasing the revised NEFT and RTGS charges from July 15. A day after it waived charges on Immediate Payment System (IMPS) transactions of up to Rs 1,000, State Bank of India (SBI) on Thursday lowered transaction charges on transfers made through the National Electronic Funds Transfer (NEFT) and Real Time Gross Settlement (RTGS) channels. As per the revised schedule, the NEFT charges on fund transfer up to Rs 10,000 has been halved to Re 1, and to Rs 2 for up to Rs 1 lakh. For transfers between Rs 1 lakh and Rs 2 lakh, the NEFT charge will be reduced to Rs 3 from the existing Rs 12. The charge above Rs 2 lakh has been fixed at Rs 5 as against the current Rs 20. For RTGS transactions, the charges will be Rs 5 for transactions between Rs 2 lakh and Rs 5 lakh. NEFT transactions of up to Rs 10,000 will now attract a charge of Rs 1, transactions between Rs 1,001 and Rs 1 lakh will be charged at Rs 2, those between Rs 1 lakh and Rs 2 lakh will be charged Rs 3, while transactions involving higher amounts will be charged Rs 5. Earlier, these charges were Rs 2, Rs 4, Rs 12 and Rs 20, respectively. Currently, the bank charges Rs 20 for such transaction. If a customer transfers more than Rs 5 lakh through the RTGS channel, he will be charged Rs 10 as against Rs 40 currently. There are different charges if the fund transfers are made in bank branches through executives. All the new charges will attract GST rate of 18 per cent. The country’s largest lender has also waived charges for fund transfer of up to Rs 1,000 done through Immediate Payment Service (IMPS). RTGS transactions of between Rs 2 lakh and Rs 5 lakh will now be charged Rs 5, as against Rs 20 earlier, and those involving higher amounts will be charged Rs 10, down from Rs 40 earlier. The new charges, which are exclusive of the Goods and Services Tax (GST), will come into effect on Saturday. They will be applicable only to transfers made through internet or mobile banking. “In sync with our strategy and complementing the focus of Government of India to create a digital economy, we have taken one more step to promote use of internet banking and mobile banking for doing NEFT and RTGS transactions by reduction of the charges,” said Rajnish Kumar, Managing Director, State Bank of India. At March-end, SBI had 3.27 crore Internet Banking customers and nearly 2 crore Mobile Banking customers. SBI Ecowrap, the bank's research unit, said, "If demonetization had not happened, it would have taken three years more for credit and debit cards transactions on point of sales (PoS) terminals to reach the current level of Rs 70,000 crore (assuming a yearly growth rate of 25%). We believe that increasing number of PoS terminals (post demonetization, banks have been able to set-up 11.8 lakh extra PoS terminals) and ease of doing digital transaction will increase this level further. Similar trends are observed in the case of usage of pre-paid instruments (include m-wallet, PPI cards and paper vouchers) and mobile banking, too. PPI witnessed a sharp growth with transactions value worth Rs 10700 crore in May 2017 compared with Rs 5,100 crore in November 2016. SBI is one of the top 50 global banks and the largest commercial bank in India in terms of assets, deposits, profits, branches, customers and employees. The company had deposit base of Rs 25.85 lakh crore as on March 31 this year.